The annual Sime~Gen New Year's online chat will be held on January 1st 2013, US date. The chat consists of two components. The first is the business side of Sime Gen, including announcements of upcoming projects, and the second is the general chat where the authors and fans chat about whatever topics come up, ranging from Sime Gen to the weather in your part of the world. A few years ago, Wildside Press came to Jean Lorrah and I asking for reprint rights to our backlist. Wildside picked up the entire Sime~Gen series that Jean and I collaborate on and own together. We had barely finished doing the formatting work on all 12 extant Sime~Gen novels than a fellow who knew Jean's work via a connection to her University job as a Professor of English came to us wanting game rights to her novels. We didn't have exactly what he wanted, but pointed him to some of the unpublished Sime~Gen work posted online, and it hinted at what he wanted. For the last 6 months or so, we've been working to create the Sime~Gen galactic civilization, and meanwhile the novels have begun to appear in audiobook from audible.com which is a handy format many of his game development crew prefer -- because it's hands-and-eyes free and allows for multitasking. Amazon's cross indexing is a mess, what with all the used copies for sale (cheap), so for reference, I'm going to list the Sime~Gen novels in publication order with links to the various formats of the new editions. You don't need to read them before playing the game because the game will include whatever background you would want to play in this universe's interstellar era. 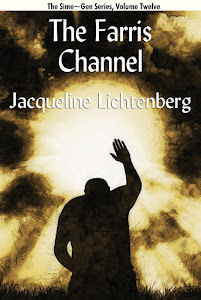 First Channel, by Jean Lorrah and Jacqueline Lichtenberg. 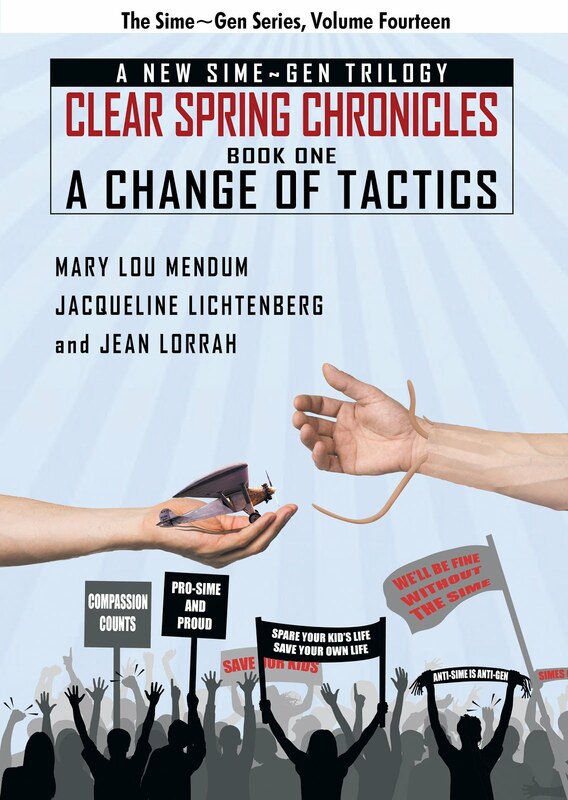 Channel's Destiny, by Jean Lorrah and Jacqueline Lichtenberg. It is the 3rd of the 12 to be released in audiobook, and several more are in the hopper. Those of My Blood is now in Kindle, and I was just told that Dreamspy (the sequel) is on the home stretch for e-book/new paper release. Join the Sime~Gen Group on Facebook for up to the minute news on more Sime~Gen.